By signing the contract contained within the registration packet, you will be obligated to pay the entire season fee within the time period outlined in your pre-registration terms. You will also be obligated to play for the Delaware Ducks for the upcoming season. Player releases are at the discretion of the Board and are typically only granted after your season fees are paid in full. $300 deposit is non-refundable. NOTE: Refunds WILL NOT be granted if you leave the club voluntarily and all outstanding fees will be due and collected. Try Out fees ARE NOT REFUNDABLE. Any deposits made above and beyond the try out fee will be refunded to any player who is cut after try outs. If the player is placed on a team, the try out fee and deposit will be applied to your season fees, and no refund will be given. By signing the contract contained within the registration packet, you will be obligated to pay the entire season fee within the time period outlined in your pre-registration terms. 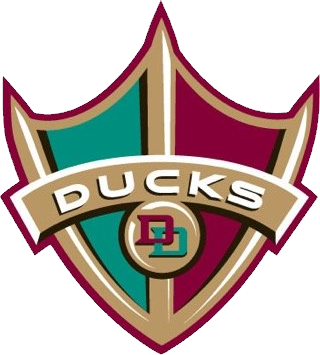 You will also be obligated to play for the Delaware Ducks for the upcoming season. Player releases are at the discretion of the Board and are typically only granted after your season fees are paid in full. NOTE: Refunds WILL NOT be granted if you leave the club voluntarily and all outstanding fees will be due and collected. By signing the contract contained within the registration packet, you will be obligated to pay the entire season fee within the time period outlined in your pre-registration terms. Player releases are at the discretion of the Board and are typically only granted after your season fees are paid in full. NOTE: Refunds WILL NOT be granted if you leave the club voluntarily and all outstanding fees will be due and collected.